Manufactured in 2011 in Lake City with NATO specs. Steel core; crimped and sealed primers. Light armor piercing. For use in 1:9 twist rate barrels or tighter. Comes on stripper clips and includes stripper clip guide. 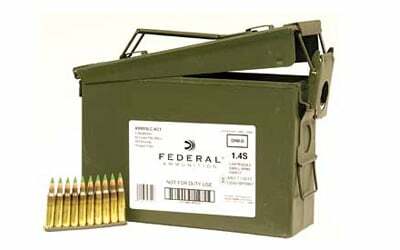 Comes in 420 round sealable ammo can.